Exquisite Oil Protective Treatment is rated 4.6 out of 5 by 28. 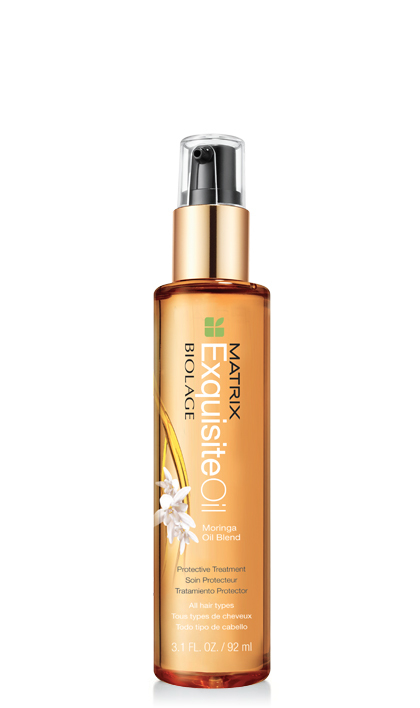 Share https://www.matrix.com/biolage/exquisite-oil/exquisite-oil-protective-treatment Exquisite Oil Protective Treatmenthttps://www.matrix.com/~/media/images/haircare/biolage/exquisite oil/biolage_exquisiteoil_protectivetreatment_b-eo-pt.jpg Protects and nourishes hair for extra softness and brilliant shine. Rated 5 out of 5 by aimsy808 from LOVE this oil!!! I live in Hawaii, with the humidity I get big “island” hair. This oil helps me control the frizz. I’m SO sad to learn it’s being discontinued!! I bought the last of inventory at the beauty supply. PLEASE, PLEASE, PLEASE keep making this oil. Honestly don’t know what I’m going to do once it’s all gone. I’ve tried other oils but this, by far, has been the best product for me. Rated 5 out of 5 by BarNichols from Love, love, love this stuff So sad to hear that it's been discontinued. I have tried a lot of products to replace it but none fit the bill. It is absolutely the best for my curly, stressed hair. What's up, Biolage?!! Rated 5 out of 5 by God is good from A must have for my hair!! I've been using for a couple of yrs, I always, always get compliments on how healthy & shiny my hair looks! I call this my magic potion!! A must have!! Rated 5 out of 5 by Kabir from Best replacement for wax All this while i used to use wax and this is the first and currently the only oil i apply on my hair, smells so good! Rated 5 out of 5 by Tebazile from My every day favourite! Love the smell and that it nutrishes my hair without making it look to glossy. Favourite Product ever. Rated 5 out of 5 by Shelltattoo from Best Product I've Used! New stylist used this on my hair and I was amazed at the shiny, smooth, silky, soft way it made my color treated hair feel. Bought a bottle and used it again today, same results. Although a little pricey, I only used 2-3 drops so I expect it to last a long time. Best product I've found in years!